Most rental services leave pickup, setup, and return of all gear entirely up to the client. With every Tech Works rental, our skilled technicians deliver, set up, and optimize every component for you, as well as picking up the gear after your event- no late fees, no heavy lifting, and no hassle. All Reno area rentals require a $200 minimum order, with staging requiring a $400 minimum to cover additional labor. Lake Tahoe/Sacramento etc. areas add a bit more for cartage. 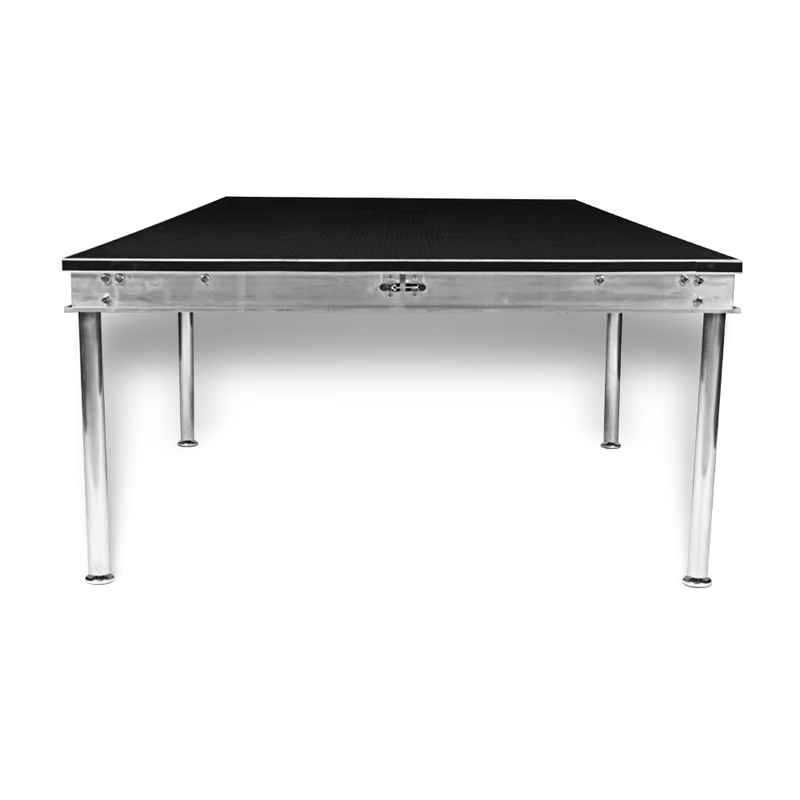 Tech Works uses a stage system called Decks on Steel – one of the strongest stage systems available. 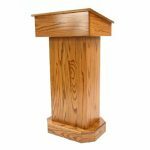 We can configure systems from riser stages 6″ tall to large performance stages over 5′ tall. We build sturdy, perfectly level stages, even on uneven terrain, by using various sizes of undercarriage steel and leveling screw jacks. A set of steps and black skirting is included with every stage. Other skirting colors are available as options. Final pricing on staging depends on a few factors, such as proximity of stage to available truck parking, loading up steps or an elevator, exceedingly hilly terrain, and soggy or unstable ground. Roof systems are available for stage in two styles, shade roofs that use a mesh fabric and weather roofs that use a solid fabric. Custom options and colors are also available. Contact us for more information. 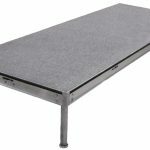 Stage risers feature black painted or carpeted surfaces. Risers can use 6″, 12″ or 18” legs. 12” and 18″ packages include step units black skirting. Chair stops can be installed if required. 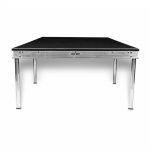 Stage decks are installed on 2′, 3′, 4′ or 5′ tall undercarriage systems. These undercarriages accept optional screw jacks that can be adjusted for uneven terrain or for any height between 2′ and 6′ tall. Railings are required on the rear of all stages that we build. Tech Works has standard 8′ Banjo cloth pipe and drape available in Black, White, Red, Blue, Sheer and Black Velour. 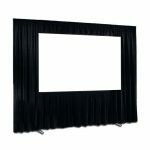 We also stock 18′ tall drape in Black Velour. 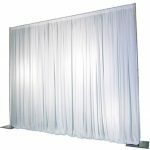 Please call for a quote on Drape taller than 8′. 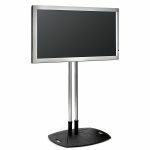 Short or medium throw 2500 lumen projector, includes cart stand and all cables. Screens provided separately. 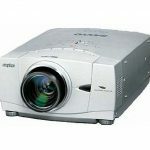 Larger projectors are available, please call for quote. Tripod roll-up screens are used for front projection and also include a skirt. 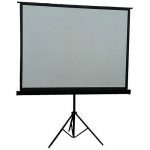 Fast Fold screens can be used for front or rear projection and include a skirt. Dress Kits (the draping at the top and sides around the screen are optional. Please call for a quote on Fast Fold screens, as there are too many sizes and options to list. 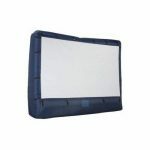 Inflatable 12′ diagonal screen for front projection only. 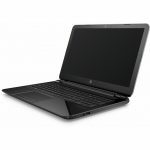 Laptop and Desktop Computers with Windows 10 and MS Office. Tech Works stocks a variety of TVs. Each comes standard with a table stand. Floor stands are available as an option. For all other A/V services, such as cameras, IMAG, video production, recording, etc. please call for a quote.